Often, if a plant isn’t taking up space I need for something else, I’ll let it go to seed. Partly because then it will drop it’s seed everywhere and next year I might get plant babies, and partly because I love seeing what plants do when they go to seed. Have you ever let a leek go to seed? 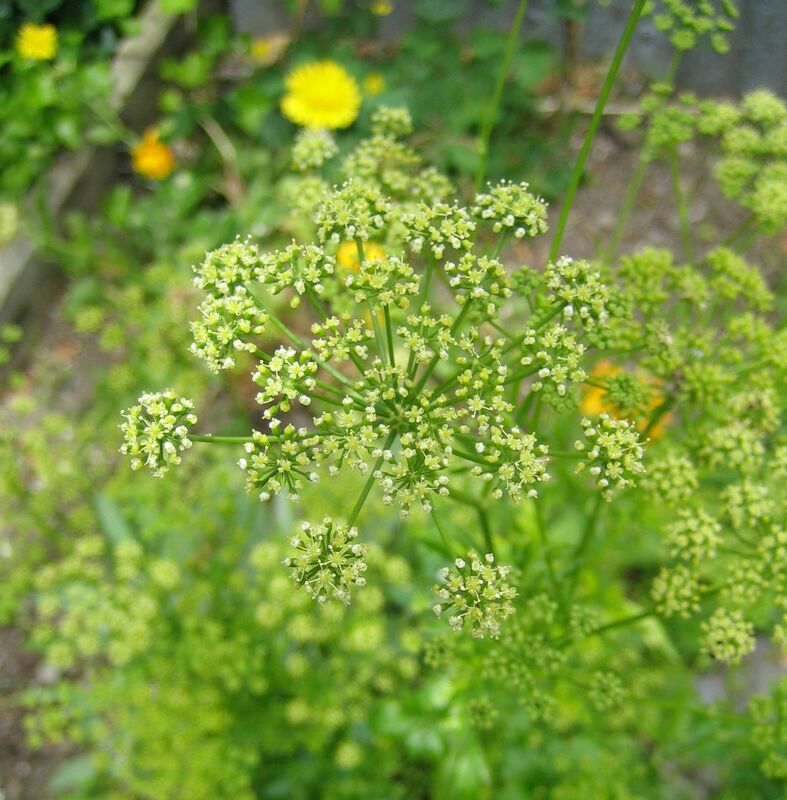 I also like parsley seed heads. 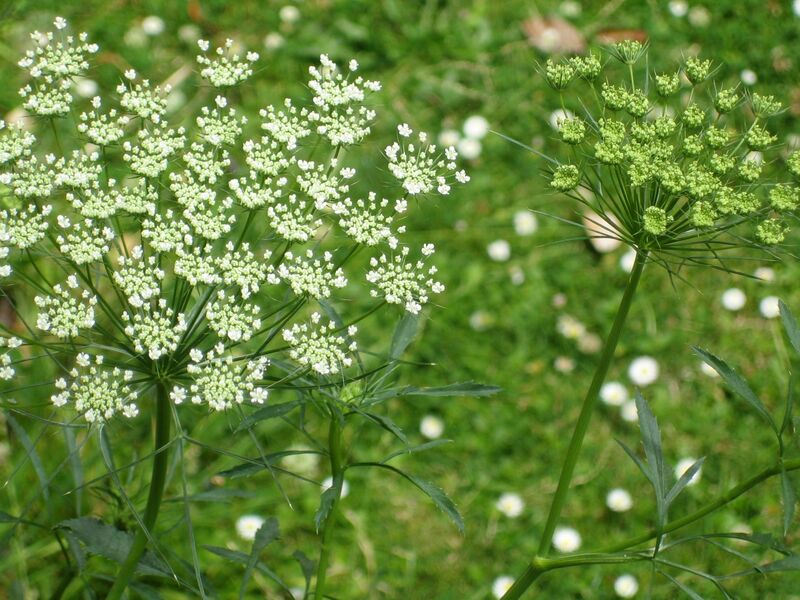 They are pretty and similar to their plant cousins, Cow Parsley which you often see growing on the edges of fields in the countryside, and Queen Anne’s Lace. Seedheads I am not so fond of are dandelion seed heads, because even though they are lovely – everytime one blows in my garden I know it means a lot of weeding….and grass seedheads for the same reason. Because I love seedheads, and plants, and slightly twee Englishness…one of my favourite contemporary artists is the very beautiful (if completely decorative and unchallenging) Angie Lewin. She is extremely good at capturing the beauty of a seedhead. Check out some of her beautiful botanical art work HERE. I love a good seed head! 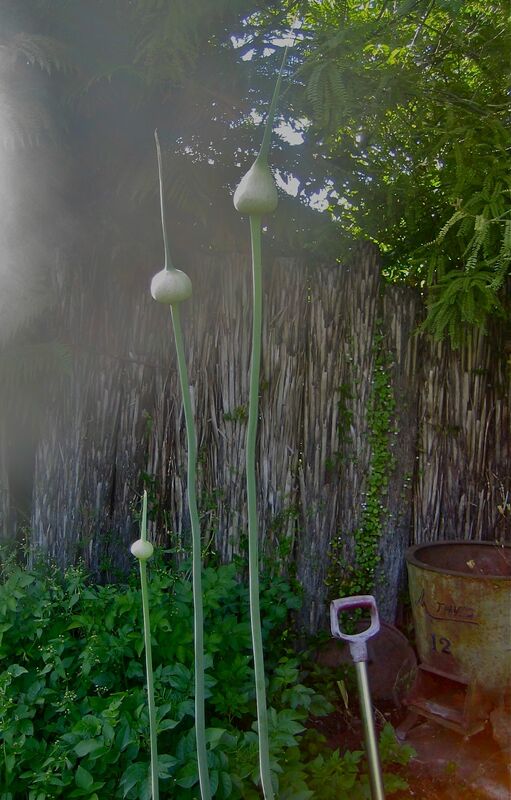 And quite often my leeks bypass the edible phase and go straight to the Hundertwasser turret phase. 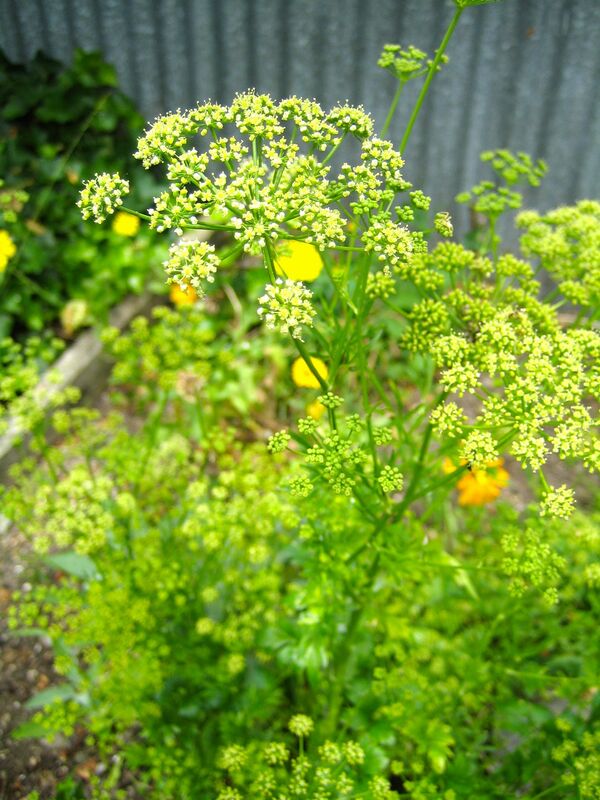 I let all my kale go to seed too – lots of lovely yellow flowers. Are you any good at seed collecting? That’s the part I forget. No, pretty crap at seed collecting unless the plants make is very easy, like poppies and granny bonnets and peas and beans…. Allium flowers are some of my favourite flowers. Yes, I let my leeks go to seed for the first time, to watch them change into things of beauty that the bees go wild over. Sometimes I do the same with rocket, to please the bees and add some wildness to our very ordered garden.